With a Professor of Engineering at Purdue University in Indiana, United States, and a mother who is a frontline journalist, Uchenna Ejike-Charles ought not to be anywhere near the stage, singing. His father, Ejike; and mother Louisa, the daughter of the first military Head of State, Gen. John Thomas Aguiyi-Ironsi, did everything they could to steer him clear of the music scene. But he says that music is his first love. At a tender age, he was sent to a nursery school where he said he was taught the rudiments of education. Afterwards, he was sent to the Federal Government College , Odogbolu, Ogun State where his performance was rated excellent. That performance earned him a place at Purdue University in 1997 where he studied Finance. While in the university, Uchenna's prowess in soccer earned him a scholarship. As soon as he graduated, he got a job with the National City Bank, United States, as Vault Manager. This is a job many thought would give the young man satisfaction. But how wrong they were. “With this job, I was involved in counting money; and because I was the only man in my department, I had a lot of work on my hands. It was a good job, which I enjoyed and gave all my time. But I was not satisfied with what I was doing. That was why I had to resign and come back home to pursue my long-time ambition of becoming a musician,” Uchenna said, throwing his hands in the air and smiling as if recalling his days in the strong room. His dream of becoming a musician started to get fulfilled while attending Healing Sanctuary church, where he was a member of the choir. At that tender age, he recollected, he was always at choir practice and would not miss Sunday service; but whenever it was time for him to mount the stage and lead the choir, the choirmaster would pick another person instead. Young Uchena was however not deterred. At the university, he took some courses in engineering, song writing and acoustic. 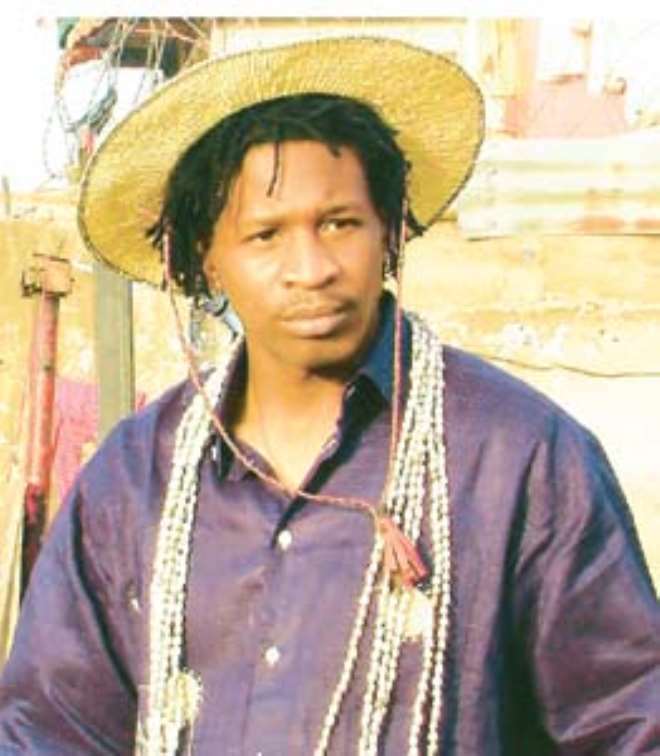 The knowledge helped him to make some money, even as a student, as he produced some albums for artistes in Dallas on which he once earned $500. This further strengthened his belief that music was his calling. Uchenna went for dreadlock. It was a thing he could not do as a banker, but as soon as he got his “freedom,” he stopped combing his hair. Today, he is happy for it, because he believes it has not only set him apart, but has also given him the unique look that he wants. Ironically, the “desired look” brought with it some embarrassment, as he recalls that he was driven out of a church in Jos because of the hairstyle. Uchenna says he is working on his debut album, the title of which he wants to keep to himself for fear of pirates. He says it's not all about making money from the album “but just to make a statement.” Already, he is discussing with some marketers and he hopes that the discussion would bear fruit soon. Apart from becoming a notable musician, he is looking forward to buying a N50m worth of musical equipment that would stand him out as a producer and an owner of a recording label.